There is no doubt that content marketing is highly effective. In today's digital world, marketers spend a lot of time and energy creating content for the millions of eyeballs out there waiting to consume it. Saturation is a problem that keeps growing and creating great content alone just isn't going to cut it. So what's the solution? Native advertising. Native advertising is a form of paid media where the ad experience follows the natural form and function of the user experience in which it is placed. The format varies from site to site, but when in its ideal state, blends seamlessly with the content that is already on the page. These ads can appear on news sites as suggested or sponsored articles, or as additional reading at the bottom of the page. 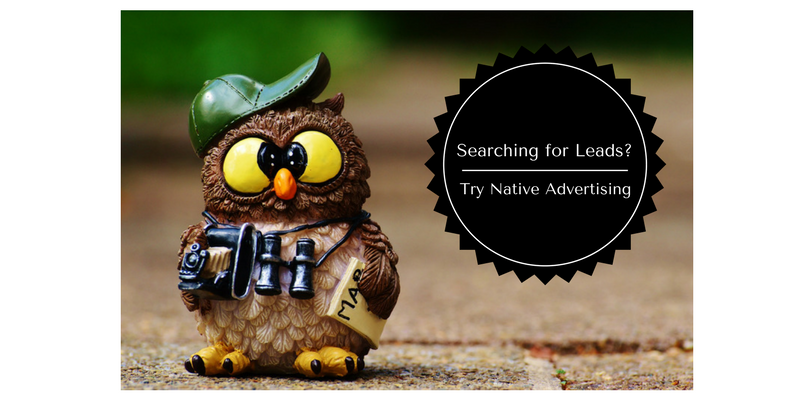 Native advertisements can also exist on social media in the form of promoted tweets on Twitter, sponsored posts on Facebook and Instagram, featured videos on YouTube, and even custom branded playlists on Spotify. 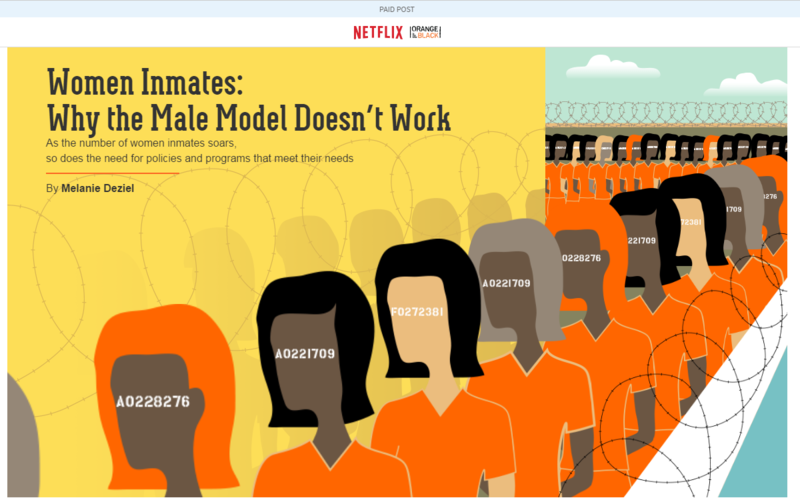 This native ad works because the content of the post is informative, engaging, and completely aligned with the product being promoted (in this case, the Netflix series “Orange is the New Black”). There are no trust issues with readers as they clearly can tell that this is an ad. They can make the choice to engage with this content or not. Let's take a look at how you can successfully use native advertising in your digital marketing strategy. There is so much content out there that it's becoming much more difficult to win the Google search game. Native advertising lets you identify an audience and then get your content in front of them at once. The level of targeting is very sophisticated. Target top of the funnel leads based on what they’re talking about on social media or based on their interests. Native ads also help you convert bottom of the funnel leads by using "look-alike" audiences with your social ads. There are so many possibilities with custom audience targeting. You can target prospects based on location, demographics, interests, behaviors, and so forth. In addition, you can use a custom audience based on existing leads and customers in your database to encourage them to make another purchase. You can even exclude certain audiences based on characteristics that you don't believe make up your target customers. The potential is endless. Attracting a higher quality visitor to your landing page is going to ultimately result in a higher conversion rate. Leads generated via native ads are always going to be high quality because their level of interest is higher. In the end, your ad dollars are not spent on consumers who aren't interested but on attracting people who could become customers or even evangelists. We just talked about the importance of targeting ads to the right users. Part of this is understanding the platforms that your target demographics are using. Do they heavily use Facebook? Then start there. Do they prefer to use Twitter? Go there. Or, maybe your audience is reading articles on news sites - that's where you need to be. Do they heavily use Facebook? Then start there. Do they prefer to use Twitter? Go there. Or, maybe your audience is reading articles on news sites - that's where you need to be. If budget is an issue, keep in mind that advertising on LinkedIn is a lot more expensive than other platforms like Facebook or Instagram. 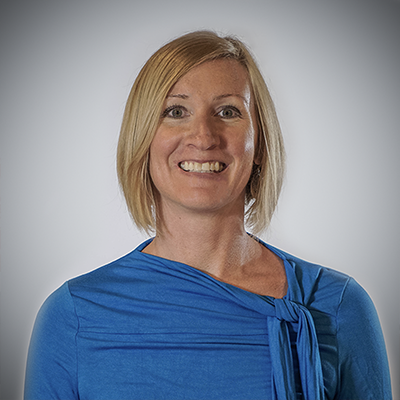 Do what fits with your company's overall objectives and budget. Once you have chosen the right platform, it's important to get familiar with them. Articles, tweets, and Facebook posts are all very different, and you are not doing your business any good if you simply take the same content and use it on every medium. On all of the platforms that your audience frequents, learn what kind of ads and messaging work and don't work. Take what you've learned to comprise ads that are more likely to increase engagement. Put yourself in the shoes of your ideal customer. What type of content are they interested in seeing? Remember this when creating your native ads. Do you have content that has performed well in the past? Re-purpose that content for your ads. Relevant, engaging content that interests your readers will provide a positive image for your brand as well as generate more views. You want your content to have subtle links to your website and it's products/services instead of flagrantly throwing your products at them. Let them continue finding out more about your business on their own accord. Native advertising can play a role in testing and refining your content marketing strategy. Play around with headlines, images, and other elements to determine the success of your content. You can easily leverage the guaranteed audiences behind paid placements to test out your content, discover what’s resonating, and feed those insights into your overall content marketing strategy. I'm sure native ads can seem a little overwhelming. It's not something that can be done overnight. Wondering if it's worth your time and effort? When done right, native ads are a great way to spread awareness for your brand. The statistics point to native advertising’s continued growth. It’s projected that 8.8 billion dollars will be spent in 2018 on native advertising, and for good reason. 53% of users say they would look at a native ad over a banner ad, and they are 18% more likely to show purchase intent. As you can see, it's worth the investment to at least try native advertising. Just start off slow. Take advantage of the limited resistance that native advertising offers. It's a good way to have greater visibility and influence with your customers and build your relationship with them. Not sure how to get started? Our team at Revenue River Marketing can help! Want more information on establishing a professional presence online and creating a content strategy that targets the right audience? Then check out our Digital Positioning Guide.